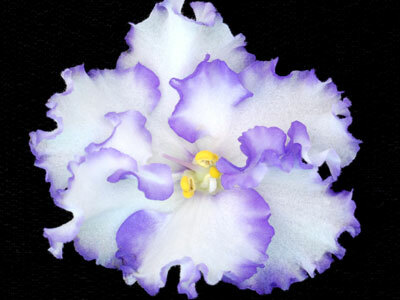 Semidouble white frilled pansy/blue edge. AVSA Reg. #10130 - Very vigorous plant and on sale here at our top rated and affordable online plant and flower nursery at the best possible cheap discount online sales price.